Pre-1940 Triumph Motor Club – A Club dedicated to Pre-1940 Vintage Triumph Cars built by the Triumph Motor Company. 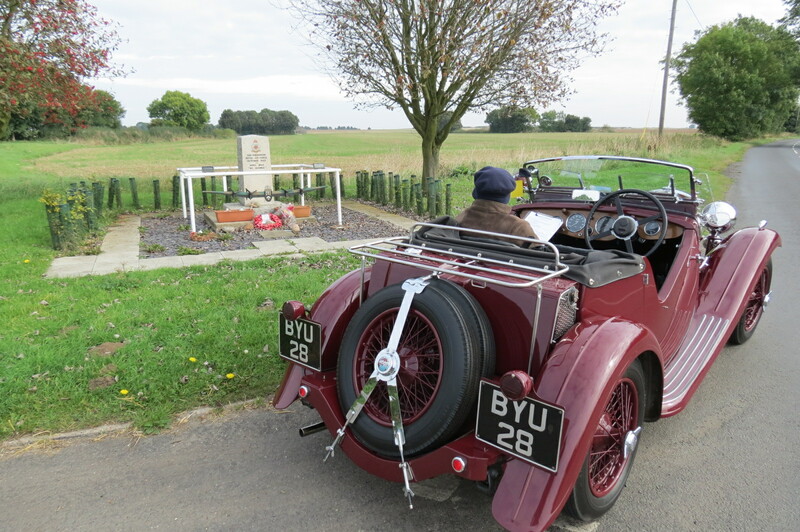 Chairman’s Vitesse at the Club’s re-run of the ‘Cotswold 100’ in 2014. Welcome to all members of the Pre-1940 Triumph Motor Club, and also to all interested parties, (who can feel free to apply for membership of our club as members or associate members).Our worldwide club, is dedicated to those who own, or have an interest in pre-1940 Triumph cars, (inclusive of the Vale and Vernon Crossley marques which are based on the Triumph mechanical parts). The club is not large, but growing quickly, with nearly 300 members. It is very friendly and an extremely supportive club to those who need information about, or require parts, for their Triumph cars, and / or to those who wish to delve into history, and to reminisce a little. We disseminate information about our activities through the medium of 6 two monthly magazines per year, and through our club website, (which is now updated by the officials responsible for each section of the site). An annual rally with award presentations, a spares, regalia and library shop, a dinner and usually a driving rally, takes place annually in June/July. Regional Representatives, in the UK and in other countries of the world organize various more local meets, often based within the aegis of another club or activity. Links occur with other classic car organizations e.g. 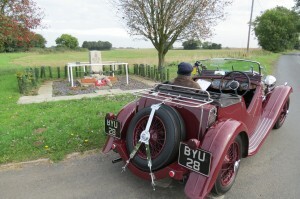 the VSCC, and many of the more modern Triumph car clubs. Activities, histories, technical detail, car finds and cars re-united with previous owners, are often recorded, and pictures with information, sent to the relevant motoring press. Support can be given to identify barn-find Triumph vehicles and/or parts, and help can be given to confirm original registrations to the relevant authorities. A major programme is underway to retrieve records of all Triumphs ever built and/or registered, as most records were lost in the blitz on Coventry during the war. To this end, anyone with Triumph reminiscences or records or photographs is encouraged to contact us. Our able and enthusiastic archivist and librarian, has also published to date 3 hard backed books with pictures, stories and technical details regarding many past and currently active pre-1940 Triumphs. Other books have been published setting out the history of these wonderful cars. Our librarian can help with details. We hope, if you are currently the proud owner of a Pre-1940 Triumph, that you are enjoying using it: If it is under restoration, we hope it is nearly ready for the road: If a pile of parts, let us encourage you to get motivated to enjoy the car: If you are considering buying an historic car, let us encourage you to join us, and buy yourself a Triumph. I hope from this brief introduction, you will continue to review our website which will continually be updated, and please communicate with us as appropriate. Chairman, Pre-1940 Triumph Motor Club, Ltd.